I'm kicking this off with the thing I'm most excited for, and that's Mickey and Minnie's Runaway Railroad dark ride announced for Disney's Hollywood Studios. Sadly, this new concept will be taking the place of my beloved Great Movie Ride which is slated to be closing on August 13th of this year. But hey, time moves on and so must we, right? 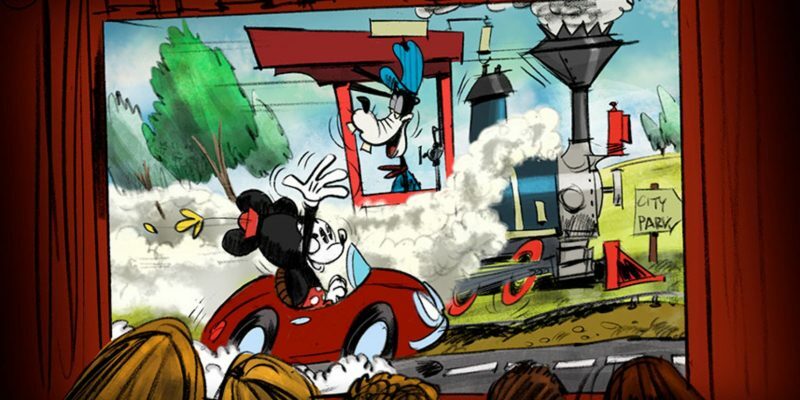 Described as a '2 1/2 D' attraction, Mickey and Minnie's Runaway Railroad will believe it or not be the first ever Mickey and friends themed ride in any Disney resort around the world. We are promised to 'step through the movie screen' and right into the middle of the crazy action of a Mickey Mouse cartoon, with new technologies being developed and implemented to bring it all to life. I am absolutely BUZZING for this attraction! I love that it harkens back to the classic Disney dark ride, with teams even being brought in to create a memorable theme song that will hopefully sit in the Disney hall of fame along with Grim Grinning Ghosts and A Pirate's Life. It's like Disney actually listened to fans, went 'we hear ya' and came back with something absolutely perfect to fit the bill - the type of ride that takes inspiration from everything we love from those legendary E-Ticket attractions that also utilises new and exciting technology! Ah, EPCOT, how I adore thee! I was ecstatic to hear last night that as part of Walt Disney World's 50th Anniversary celebrations this long neglected park will finally be receiving the overhaul it's desperately crying out for. I'm so happy this is finally happening. Recent visits to EPCOT, whilst I still loved them, felt that the park had very much been forgotten about and a lot of areas of the park felt dated and retro - clearly unintended for a park meant to be inspired by visions of the future! My ears are wide open for more details on the Guardians of the Galaxy attraction, especially as it means we can pretty much scrap any worry that Tower of Terror would be targeted for a Marvel retheme. On top of that, it's fantastic to see more rides being introduced to the World Showcase. 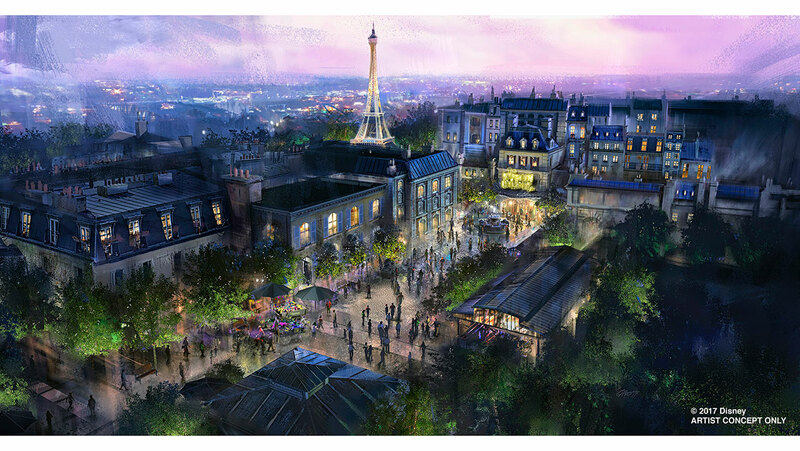 It's clearly what people want and whilst I have always secreted gloated at the fact that Ratatouille was all ours over here in Europe I'm glad that such an excellent attraction will be able to reach a whole new audience. The rumours were true! By 2021 the once mighty Space Mountain will sit in the shadow of the TRON Lightcycle Power Run, inspired by the most highly rated attraction at Shanghai Disneyland. Details were not revealed as to whether this will be a direct clone of the coaster's Asian counterpart or a new designed especially for the Magic Kingdom as various Disney forums are rumouring. Further, the concept art clearly shows the Tomorrowland Speedway is alive and well, quashing any fears that this Disney classic was set for the chopping block. Mixed feelings about this one from me. Obviously it's going to be great having a brand new thrill ride for the Magic Kingdom but part of me feels a little sad that it's going to dwarf Space Mountain so much. There was always something charming about the relatively tame coaster being billed as a high-thrill attraction as this park and for me Tron does feel a little out of the box. I've made no attempt to hide the fact that I am SO READY for Star Wars Land - revealed last night to be named Star Wars: Galaxy's Edge (coolest name ever?!) 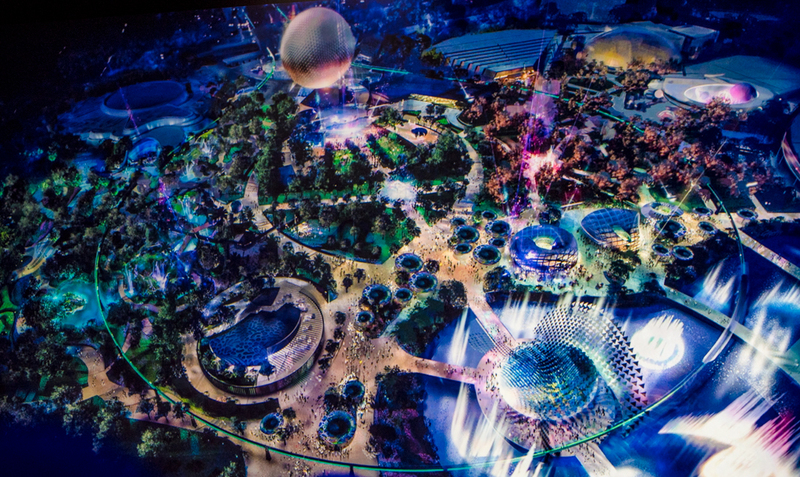 Along with this more info was revealed about the two attractions guests will be able to enjoy at what is set to be Disney's most immersive and detailed land yet. 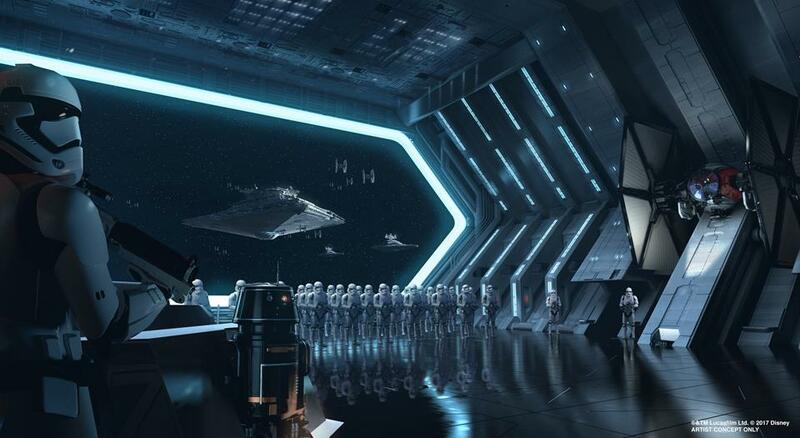 The first attraction sees guests literally taking a seat in the cockpit of the Millennium Falcon and whilst full details are still yet to be revealed, concept art depicts riders are placed right in the middle of a fully blown battle surrounded by TIE Fighters. 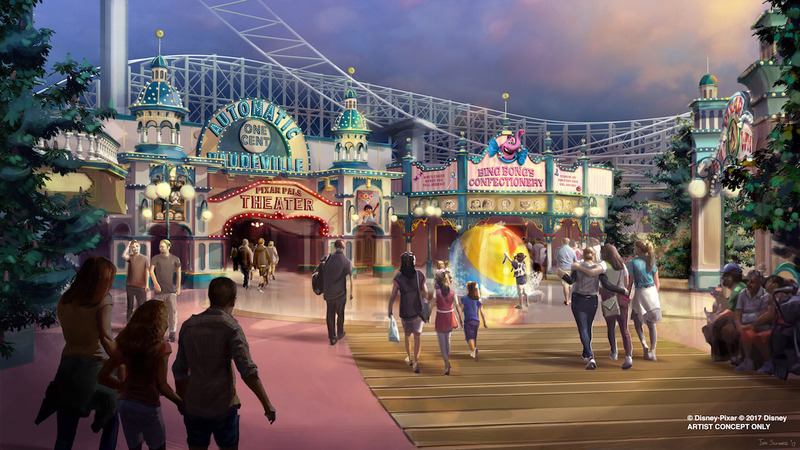 The second attraction is a yet-to-be-named dark ride more along the lines of the classic Disney E-Ticket attractions. This ride promises to put guests at the very centre of the action aboard a Star Destroyer as you race to escape the First Order. 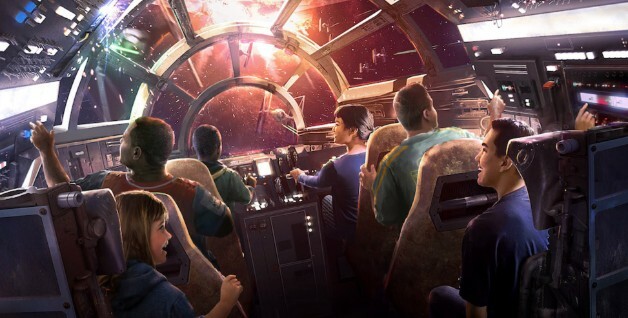 Both attractions sound thrilling, with the Millennium Falcon ride especially sounding like it harkens back to the original Star Tours attraction which I absolutely loved. My real attention however is firmly towards the dark ride. I can't wait to see how Disney are going to pull off the action packed effects they're promising. 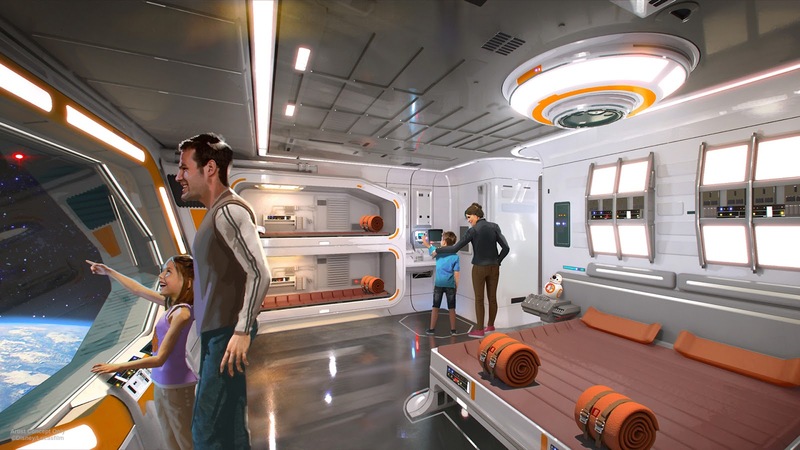 And if that wasn't enough, Disney also dropped the announcement for a Star Wars themed Resort that promises to be 100% immersive. 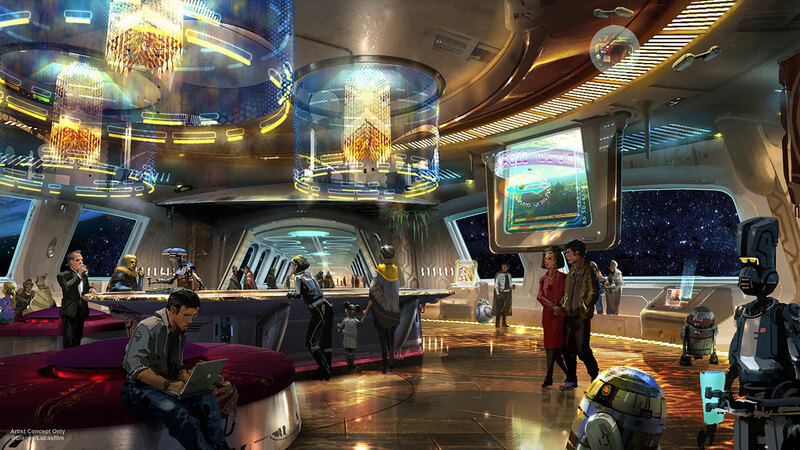 Guests will experience a stay on board a starship alive with characters from the Star Wars universe, with windows even looking out onto the planets below. If that doesn't leave Star Wars fans having palpitations on the floor I don't know what would! 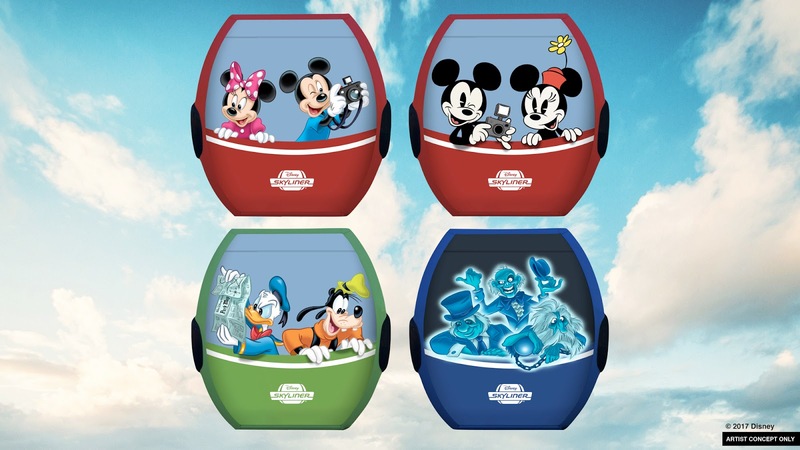 Ahead of the 50th Anniversary, Walt Disney World will introduce two brand new modes of Resort transport. First up is a fleet of literal Minnie Vans complete with bright pink colour scheme and polka dots! 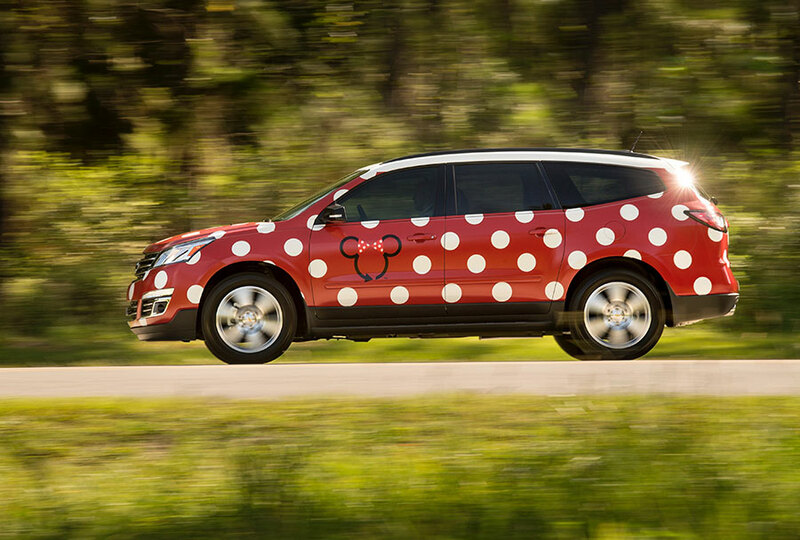 The vehicles allow a brand new option for guests looking to travel across the Resort quickly by land and appear to be Disney's own answer to Uber! Second is the epic-looking Disney Skyliner. 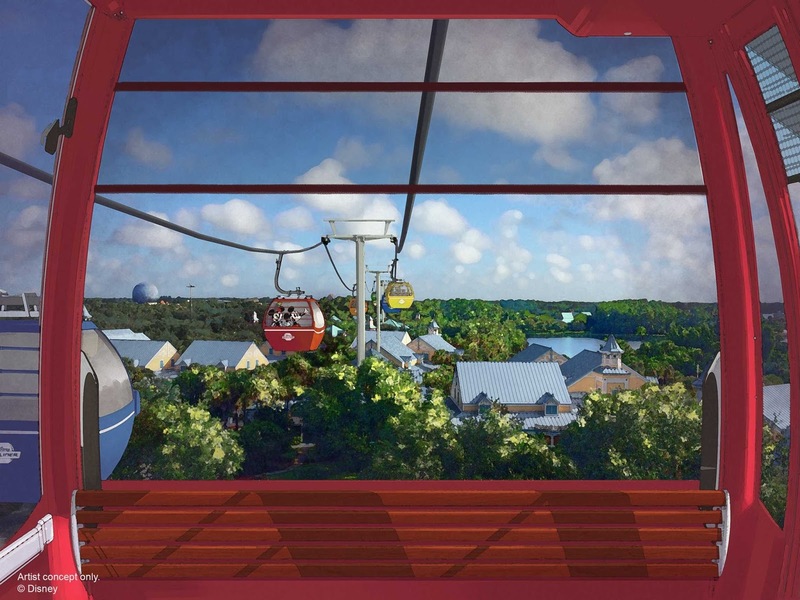 This chairlift-style transportation system will link the International Gateway at EPCOT with Disney's Hollywood Studios as well as offering stops for Disney's Art of Animation, Pop Century and Caribbean Beach Resorts. On top of that, the gondolas will be individually themed to some of Disney World's most beloved characters, including the Haunted Mansion's hitchhiking ghosts! More work is set to take place over at Disney's California Adventure with the park's iconic Paradise Pier being renamed Pixar Pier. Dubbed as the new home of Pixar, the park will be home to a new firework spectacular and character meet and greet moments as well as becoming the new host of the much-adored night time parade Paint the Night. I can't say I'm overly excited about this to be honest. I adore the retro California style theming of Paradise Pier and it'll be a shame personally to see that go in favour of more IP stuff. So, in a nutshell, it's an extremely exciting time for the American Disney parks - in particular Walt Disney World. Once these overhauls are complete the Resort will once again be a force to be reckoned with and second to none in the world. And I for one can't bloody wait!